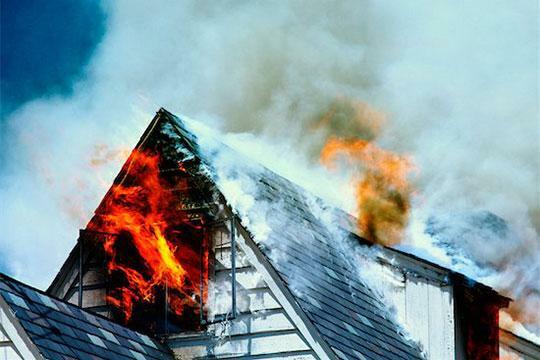 Should You File a Home Insurance Claim? The answer to that question will go a long way toward determining whether your homeowners insurance will ultimately cost you more or even get canceled. It’s that age-old conundrum: You pay for homeowners insurance to protect yourself from financial ruin, yet filing a claim when disaster does strike puts you at risk of seeing your annual premiums increase by hundreds of dollars. Worse, either a major claim or too many claims in a given period, no matter how legitimate, could lead to losing your house’s coverage altogether. While it can be a fine calculation to make, every time there’s damage to your property or an accident on it, you need to consider carefully whether it makes financial sense to file a claim or absorb the losses yourself. The fates of your homeowners insurance and your bank account hang in the balance. Here’s how to do the fuzzy math. Most homeowners insurance policies state that any time you suffer damage to your property—whether it’s covered under the policy or not—you’re supposed to make a claim in a timely manner, says former insurance claims adjuster Jonathan G. Stein, who’s now a consumer attorney in Elk Grove, Calif. What’s timely? Typically within two weeks, possibly as long as 30 days, says Stein, except for theft claims, which insurers expect you to report within days. That certainly works in the insurer’s favor, but not necessarily in yours. Read your policy carefully, then get repair estimates to determine if the cost to fix the problem exceeds your deductible, the amount you pay out of pocket. Though there are a few exceptions (more on those below), always making a claim for damage that exceeds your deductible is a good rule to follow, says Jerry Oshinsky, a partner at Jenner & Block in Los Angeles who has represented homeowners in litigation against insurers. In recent years the average claim has totaled $7,368; the average annual premium for homeowners insurance, $804. In addition, you should always make a claim—no matter your deductible or the size of the claim—when someone is injured on your property. Personal injury claims are the most likely to explode into large-dollar claims, says Steve Rivers, an independent broker and vice president of Hometown Insurance Agency in Smithtown, N.Y.
Rivers once received a call from a homeowner who’d hired a contractor to install siding on her house. One of the contractor’s workers fell off a ladder and died. Rivers advised the homeowner to file a claim so she was protected if the worker’s family sued, even though she’d done nothing wrong. Think twice about filing certain claims, even if repair costs exceed deductible levels. Stein, the California attorney, thinks homeowners shouldn’t report water damage under $10,000 because some insurers will give notice that they’ll be canceling your policy at the time of renewal due to concerns about mold. Rivers, however, says that’s not always the case. Two of his policyholders who had no previous claims filed because of water damage, and both were covered with no subsequent increases in premiums. For nonwater damage, Stein recommends not reporting claims under $3,000. His reasoning? Say you have a $500 deductible and you submit a $2,500 claim. If your premiums increase $500 a year for three years, you’re paying the insurer an additional $1,500 to recover only $500. Your claim will also be recorded in the CLUE database—CLUE is short for Comprehensive Loss Underwriting Exchange—which virtually all insurers use. Even if you switch to a new carrier, you can’t escape your old claims, which remain in CLUE for seven years. Filing multiple claims, say two or three over a span of two to three years, puts you at risk for nonrenewal, says Rivers. It’ll also make it harder to get affordable coverage in the future. Each insurer has its own standards for determining when to drop a homeowner. Rivers says some might allow one weather-related claim and one nonweather-related claim before cutting ties. Others may boot you after a single major claim. What if you don’t have the cash to pay for damage without filing a claim? Stein says with a short-term loan from your bank or credit union, you’ll probably end up paying less in interest than you’d pay in additional annual premiums. Insurers sometimes decline to cover claims. In most states, they’re required to send you a copy of your policy and identify the language they’re relying on in the denial. Read that carefully because your insurer may be misreading or improperly stretching the policy language. Stein handled a case in which the insurer denied coverage for a dog bite, even though such an occurrence was specifically covered. The adjuster didn’t bother to read the endorsements. He’s also seen insurers deny coverage for water damage from the failure of water pipes on the basis of exclusions for property wear and tear. While the cost to replace worn pipes isn’t covered under most policies, the damage they cause when they burst is included. If you believe your insurer is being stingy, argue your case with the adjuster and then the agent, advises Rivers, the insurance broker in New York. A complaint to your state’s department of insurance may also help. You may eventually need to consult an attorney if the extent of your losses warrants a legal fight.